Vinyl Fence Wholesaler Deck Railings TAN -Stair Bracket Kit / Commercial Grade / Heavy Duty / 4" x 4"
TAN -Stair Bracket Kit / Commercial Grade / Heavy Duty / 4" x 4"
TAN COLOR- Heavy Duty Commercial Grade Vinyl Railing Bracket Kit For STRAIGHT/ FLAT Railing. 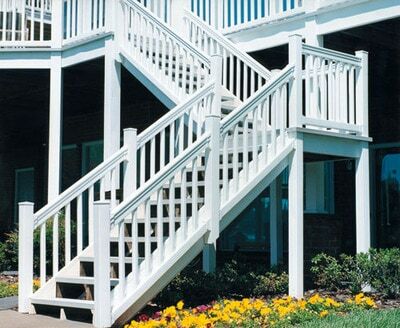 Includes (4) Brackets and hardware for installing one Sefton Straight/ Flat Railing Section to (2) Posts. 1 set of brackets for each side of the railing. Includes (2)-T-Rail brackets and (2) 2 x 3.5 brackets with all hardware. Simply attach our heavy duty brackets to your post to secure your railing. Used in conjuction with our Heavy Duty Sefton Straight/ Flat Railing. 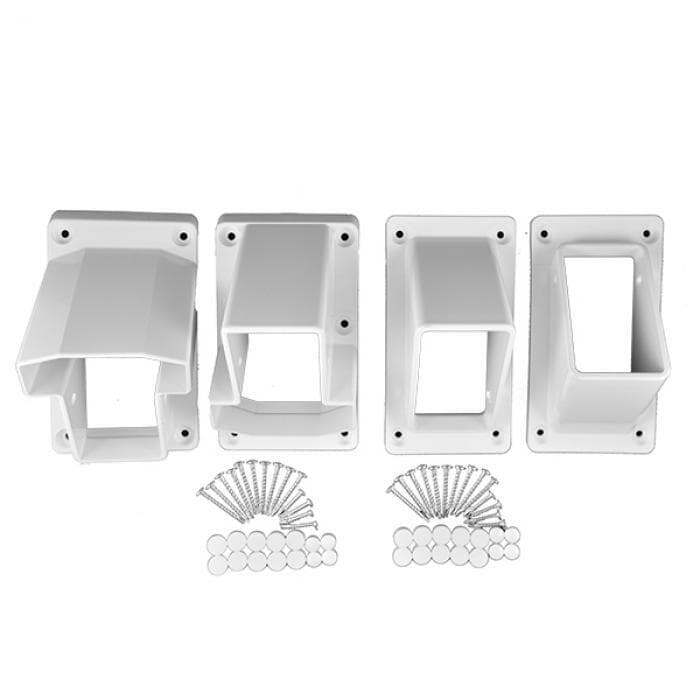 Keep in mind that Each Sefton Railing Kit already includes a complete set of brackets (4) brackets. If you need additional brackets for your project this is the kit you will require.